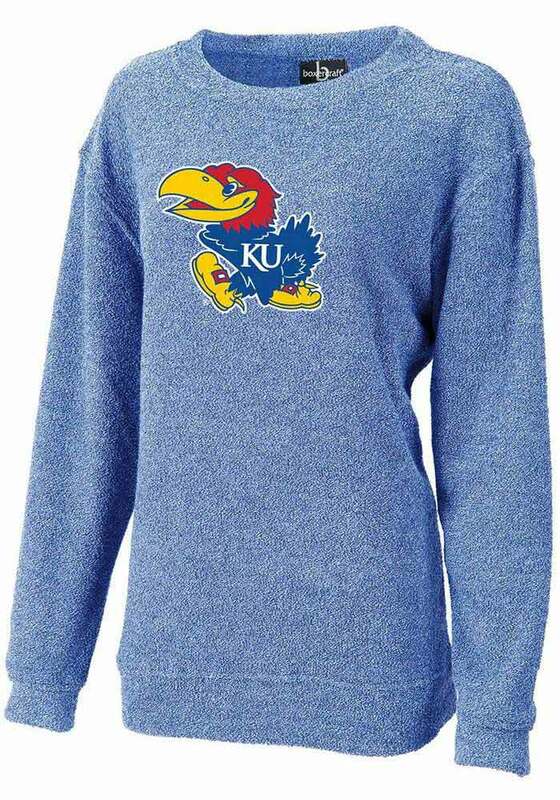 Make your way to the big game in this Kansas JayhawksWomens Blue Cozy Crew Sweatshirt! This Jayhawks Long Sleeve Sweatshirt features a center chest screenprint team graphic. Stay warm and comfortable with this Womens KU Jayhawks Jayhawks Crew Sweatshirt. This sweater is SO comfortable and looks great with leggings. It's easy to wear as an everyday outfit and I would recommend this to any UC fan!